BB (stands for Blemish Balm or Beauty Balm) creams have been a massive hype for the past few years and, although new CC and DD creams are popping up like mushrooms, BBs are still the ones dominating the market. Mostly, because they are designed to be multi-taskers, and who doesn’t want a product that promises to achieve what many foundations fail to, and just with one bottle. 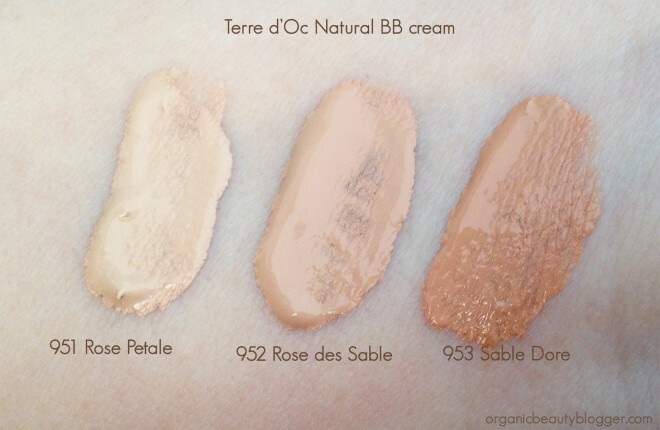 It used to be 3 in 1 creams in the beginning, but nowadays most BB creams, like Terre d’Oc Natural BB Cream, are 4 in 1: foundation, concealer, moisturizer, and even a highlighter. 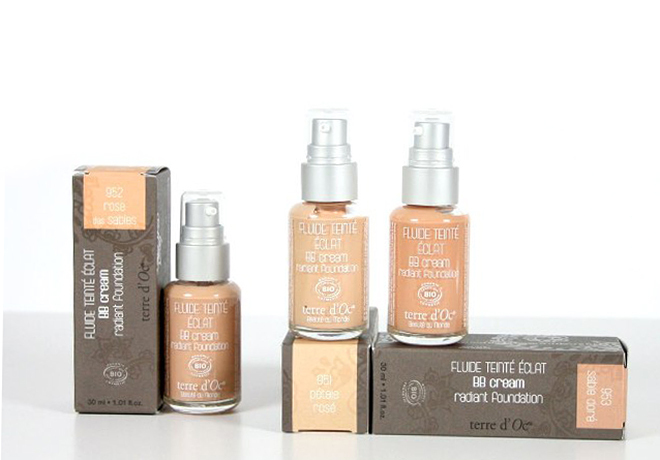 Terre d’Oc Natural BB Cream has a light texture and is very pleasant to apply with a brush or fingers (I recommend using a brush). It settles on the skin very nicely and feels highly hydrating. If you have normal/combination skin, you could even apply it without your daily moisturizer. Its coverage is light, something between a tinted moisturizer and a liquid foundation. It evens out the skin tone, but neither fully covers redness, nor conceals spots. I absolutely love its finish – my skin looks fresh, glowy, and radiant, perfect for spring and summer. Aqua (Water), Aloe Barbadensis Leaf Juice, Caprylic/Capric Triglyceride, Glycerin, Octyldodecanol, Dodecane, Heptyl Undecylenate, Hydrogenated Caprylyl Olive Ester, Myristyl Lactate, Potassium Olivoyl Hydrolysed Oat Protein, Cetearyl Alcohol, Glyceryl Stearate, Silica, Glyceryl Stearate Citrate, Prunus Amygdalus Dulcis (Sweet Almond) Oil, Oryza Sativa (Rice) Germ Powder, Helianthus Annuus (Sunflower) Seed Oil, Xanthan Gum, Cellulose Gum, Tocopherol, Microcrystalline Cellulose, Sodium Phytate, Glyceryl Isostearate, Glyceryl Oleate, Sodium Citrate, Zinc Oxide, Citric Acid, Polyhydroxystearic Acid, Potassium Sorbate, Sodium Salicylate, Parfum (Fragrance), Benzyl Alcohol, Limonene, Citronellol, Sodium Benzoate, Benzyl Benzoate, Geraniol, Linalool, Benzyl Cinnamate, Citral +/- (may contain): CI 77891 (Titanium Dioxide), CI 77491 (Iron Oxide), CI 77492 (Iron Oxide), CI 77019 (Mica), CI 77499 (Iron Oxides). Cosmebio and Ecocert Certified. Fair trade. I have dry skin, and this BB hasn’t disappointed me so far. However, if your skin is oily, you can still give this BB Cream a go, but make sure to settle your makeup with a powder. 953 Sable Dore suitable for medium to dark skin tones, with warm undertones. 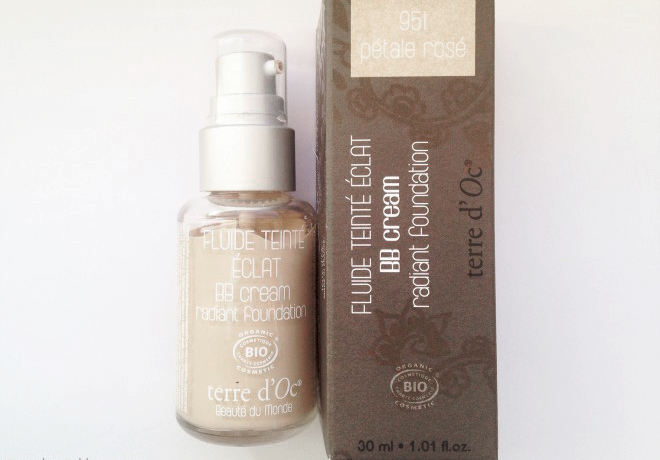 Have you tried this Terre d’Oc BB cream?